Snow leopards are generally smaller than other big cats, but still exhibit a wide range of sizes. They are covered in long thick fur which has a base color that varies from smoky grey to a light yellow tan, with white under parts. They have deep grey to black open rosettes (spots!) on their body with small spots of the same color on their heads. 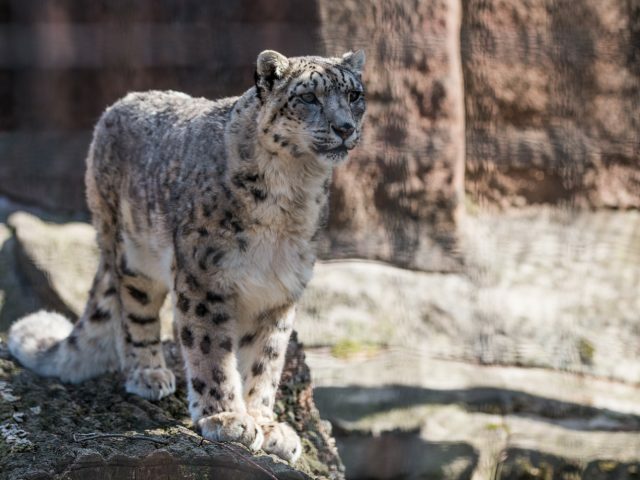 Due to the colder climate they are found in, snow leopards show several adaptations for harsh weather living. Their stocky bodies, thick fur, and small rounded ears are all designed to minimize heat loss. Their wide paws help to distribute their weight better for walking on snow, and they have fur on their undersides to increase their traction on steep and unstable surfaces. 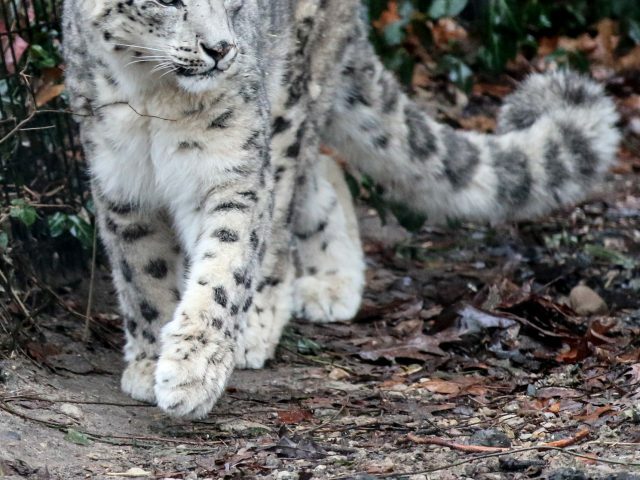 The long flexible tail of a snow leopard is perfect for helping to maintain balance as well! 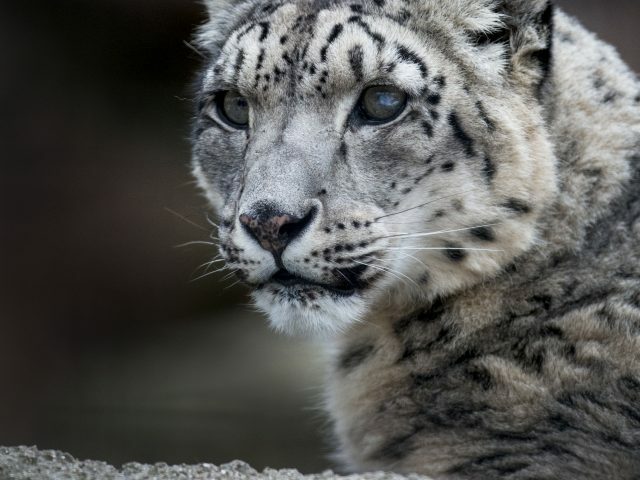 The snow leopard is a secretive cat, and a solitary hunter except when the female has young with her. Clever hunters, they search for prey along stream valleys and using ridges as a vantage point from which to spot and ambush prey. They follow migrating prey along annual routes of up to 38 square miles. 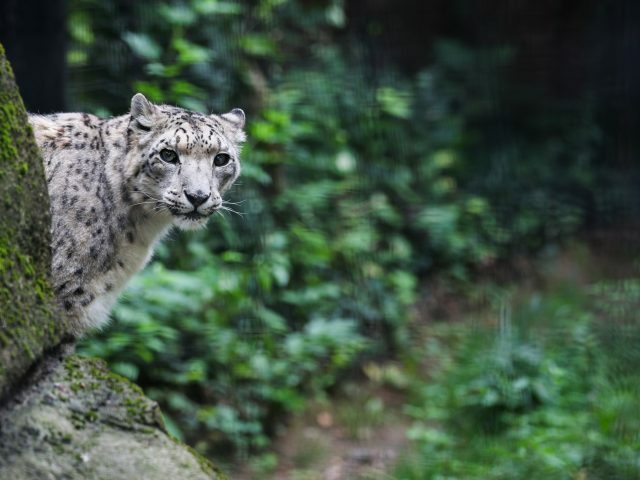 The snow leopard can jump distances of 20-50 ft to catch their prey using their very long tail to help maintain accuracy and balance. To help deal with the climate change in their environment, these cats will grow a thicker coat for winter months. 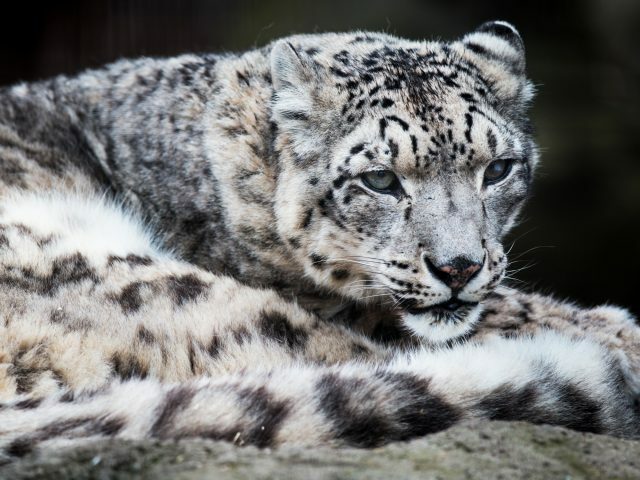 An individual snow leopard lives within a well defined range, but generally doesn’t aggressively defend its territory when other snow leopards encroach. These cats are crepuscular, which means they are active most at dusk and dawn. Like other cold climate cats, snow leopards use their bushy tails to shield their faces from the cold temperatures. 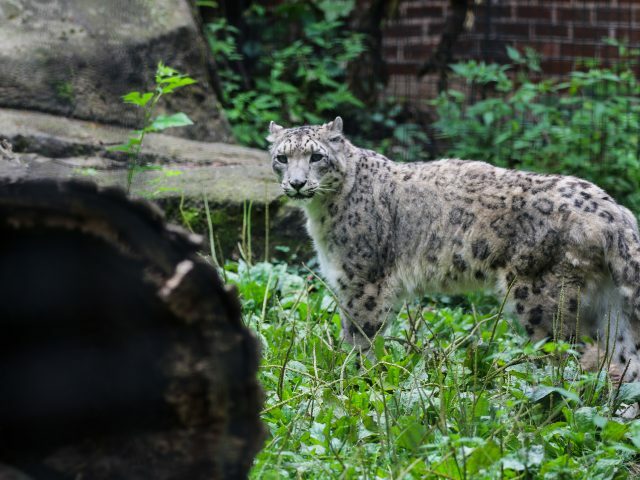 During the summer, snow leopards hunt as high as 18,000 ft! 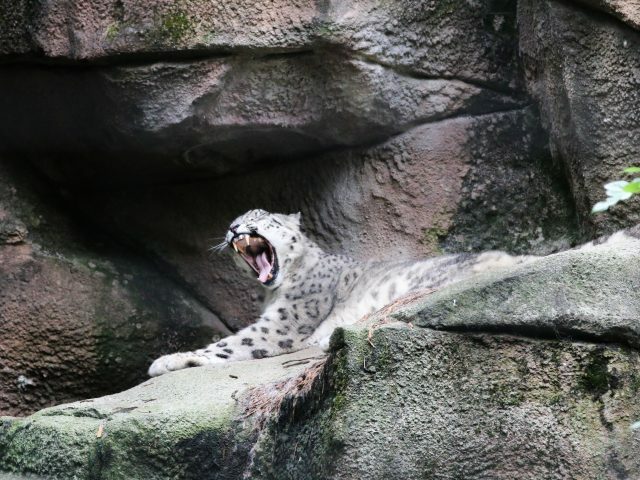 Unlike other large cats, the snow leopard does not roar. Serena the female snow leopard was born right here at Potter Park Zoo in 1998. 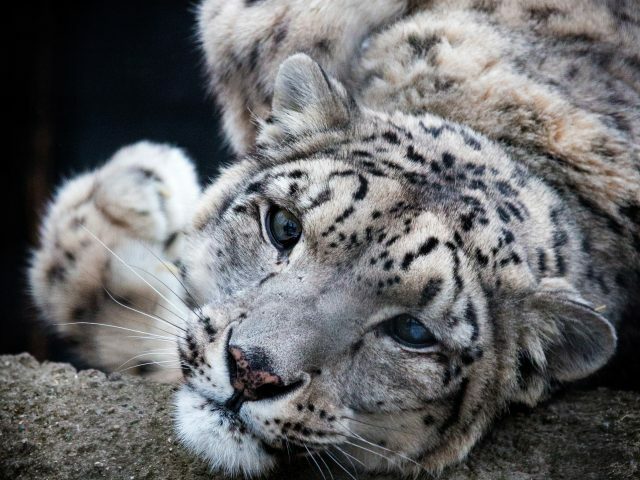 The body of a snow leopard ranges from 48 to 60 inches long, and the tail is typically around 36 inches in length. 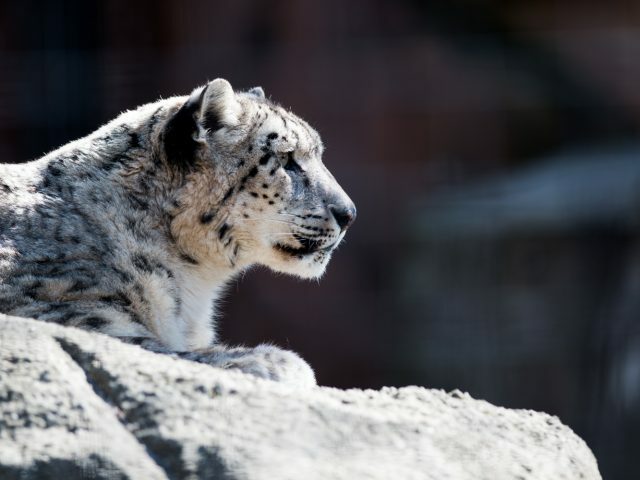 Snow leopards can weigh anywhere from 60 to 120 pounds. Wild sheep, goats, hares, marmots and other small mammals and birds.